What do new CEOs and CEOs new to working with a board of directors need to know to engage with their board members effectively? Boardroom insider Betsy Atkins shares some ideas. As a CEO working with a board for the first time, I’m hoping you can share some tips on how to run an effective board meeting and engage with board members at the meeting. • Telephone each board member prior to the meeting for a brief, 10-minute update. This way you’ll hear about any concerns ahead of time. outlines the focus of this particular board meeting. • Clearly articulate the topics you want to cover and get your board members input on so that they stay on topic and are able to contribute effectively. topics and the recommendation, then seek discussion and input to stress-test the logic and conclusion. read the material in advance. Present only key points from this information, along with conclusions. I have just joined a company as CEO and am looking to refresh the board of directors. What is your advice about who should be on the board? 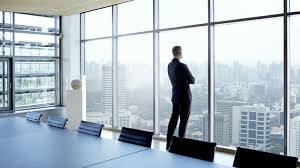 the role of lead director or chairman auto-sunsets and rotates. Your longevity in the role of CEO directly correlates to your personal engagement with your directors. Evaluate board members with a skills matrix. Determine the qualifications of the board members you need, such as deep industry domain knowledge, digital literacy, scaling through hyper-growth, etc., and put a system for rotation in place so that you have a nonemotional method of replacing board members you may have outgrown. Encourage diversity of thought. Not just gender or race diversity, but experiential diversity—experience with multiple business models and significant business changes. Different geographies, customer perspectives or adjacent industry perspectives are beneficial. I want to ensure that my expectations for the board are reasonable. What expectations should a CEO have from her board, and how can I maximize the board’s contribution to the company? the correct level of engagement. Share your feedback on the board’s performance, engagement level and contributions with the chairman or lead director. Ask for help and follow through on any offers you receive. When a director offers help with advice outside the board meeting or introductions or initiatives that involve leveraging his or her network, follow up and complete the action. If directors ask for more information on a topic, ensure that you respond and answer their questions after the meeting. You may want your general counsel or corporate secretary to memorialize these things as they come up during the meetings. Could you explain the executive session and what CEOs should expect from these meetings? Executive sessions, prescribed as a best practice by ISS and the SEC, are a time when the directors, led by the chairman or lead director, meet without the CEO. In my view, every board meeting should have an executive session. During this time, the directors will typically review the board meeting that has just concluded and candidly discuss their impressions of the CEO and leadership team, as well as the company’s performance. This part of the board meeting tends to focus on areas of opportunity, challenge or concern, and these meetings serve to keep the directors aligned and engaged, without straying off on tangents. The lead director or chairman should go around the room and capture each director’s input, then anonymize and summarize the group’s feedback and do a “read out” to the CEO, ideally shortly after the executive session. This is the board’s opportunity to share its thoughts with the CEO via the lead director or chairman. Betsy Atkins, founder of Baja Corp., is a three-time CEO and serial entrepreneur who currently serves on the boards of Cognizant, HD Supply and Volvo. To submit a boardroom question for Betsy Atkins, e-mail CBMEditorial@ChiefExecutive.net.